Considering Temple head brewer Glenn Harrison's personal preferences lie elsewhere – he most enjoys the challenge of brewing good pilsners and stouts (and drinking them) – he's a pretty dab hand when it comes to brewing hoppy beers. 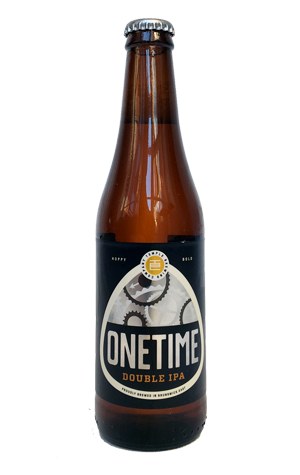 Temple's Anytime Pale (back when it was tagged an IPA) won an Australian International Beer Awards trophy and this double IPA is finding favour among hop heads. It debuted last year as a once-a-year brew and has returned this year unchanged. So you might ask why we're listing it again, and the reason is that they brewed a couple of batches this year and popped one into bottles so more people can get their hands on it. Which is very kind of them as it's one of the finer locally brewed double IPAs we've come across; it tips the scales at the same weight as Riverside's much admired 77 and shares common ground with that Sydney icon.